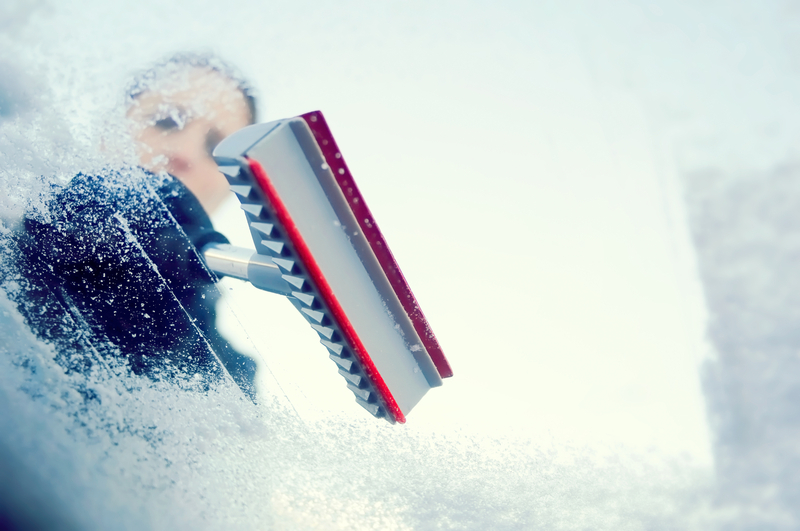 Even for skilled drivers, operating a vehicle in winter requires caution. Unfortunately, any accidents on snowy roads could result in more expensive auto insurance premiums. Follow the easy tips below to protect yourself and your fellow drivers during cold winter months. The best thing you can do when the roads are bad is to stay off them. Each year, 116,800 people are injured in vehicle crashes on snowy, slushy, or icy pavement. If you’re in an accident, you’ll likely see an increase in your auto insurance rates. Whenever possible, avoid driving in wintry conditions. If you have to go outside, exercise caution. You’re not going to have as much traction as normal, so drive slowly. Remember that it also takes longer to come to a stop on snow or ice; driving slowly helps ensure you can maintain control of your vehicle. Always put your vehicle in a lower gear when operating on snow or ice. This increases the power and traction of your tires and makes losing control less likely. It’ll also help you come to a more gradual stop so you can prevent sliding. It takes more force to get your vehicle moving from a stopped position than when it’s already in motion. As such, it’s more likely that your tires will just dig into the snow if you’ve stopped completely. When you’re approaching a stop light, try to keep rolling slowly until the light changes rather than coming to a complete halt. The worse the road conditions get, the more you should increase the distance between your car and other drivers. Not only are accidents more likely on snow or ice, but your ability to stop is reduced as well. That combination increases the chances of rear ending the driver in front of you. Aim for a distance of at least three car lengths to avoid accidents and higher auto insurance premiums. Protect yourself, your vehicle, and fellow drivers by exercising these safe driving habits on snowy roads. If you maintain an accident-free driving record, you could qualify for better auto insurance rates. Contact Allstar Insurance in Lincoln, NE, to see if you are eligible for more beneficial rates. Since 1995, they’ve specialized in motorcycle, RV, and auto insurance, and they will find the best plan for you. Get your free insurance quote by calling (402) 477-0900 or visit them online.